I was excited by the thought of Apple Pay on my Watch. There’s a (childish) appeal that I can pay for stuff just using the device on my wrist. And it looks as if I’m not the only one. In June, mobile analyst, Benedict Evans (@benedictevans) Tweeted: ‘Apple Pay with a phone is still just taking something out of your pocket. Not transformative. With a watch it’s amazing. End of friction’. A report released in August from Writstly found that 80% of Watch users have paid with the system and 78% do so at least once a week. With such a high uptake, does that make Apple Pay a rip-roaring success? The answer is, probably not. I am one of the 80% who have used Apple Pay on the Watch and it has been far from life changing. It is good enough, but far from the great experience that Apple has delivered elsewhere. Double clicking to ‘prime’ the card is fairly easy, although it’s effectively a two-handed operation. Tapping in to pay can be tricky at times. The biggest challenge is getting the angle right on the reader. They are generally set up on the right hand side and this is especially a problem on London’s transport network. If you wear your watch on your left then tapping in can be somewhat hit and miss. That’s not great on TfL where a nanosecond’s pause will cause havoc and loud tutting from other commuters. Another challenge is the availability in retailers. My UK experience is that very few outlets advertise Apple Pay. So for many shops it’s a case of tapping to see if it works. So even on the Watch there is still some friction. 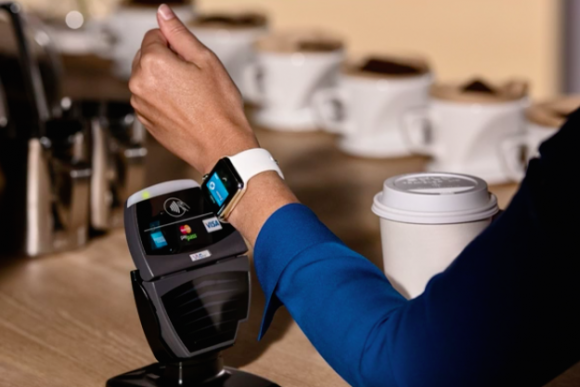 In spite of the Wristly study, its difficult to know the true uptake of the payment system – we don’t know how many Apple Watches have been sold and there have only been a couple of broader studies in the US. One survey from InfoScout covering all Apple devices pointed towards a drop in payment adoption rates – from 15% in March 2015 to 13% in June. The second study was a Gallup Poll, which found that 65% of iPhone 6 users were aware of the payment system, but only 21% had used it. None of these show a comparison in take up with contactless cards, so there’s no baseline to gauge the success. The Wristly study was a self-selecting sample of Watch users. It’s reasonable to assume that these are early adopters of the device who are likely to try out Apple Pay regardless of the experience. When it comes to a broader audience an experience that’s ‘good enough’ is probably not good enough to drive mass adoption. At the end of the day, Apple Pay is good attempt at mobile payment but it’s hard to see how it will achieve real scale. That said, I’m going to keep using Apple Pay on my Watch. Not because it’s any easier, but just because I can.